Barbra Streisand is one of only 14 people to have received the four major entertainment honors—Emmy, Oscar, Tony and Grammy awards. Barbra Streisand, the highest-selling female recording artist of all time, has also won awards and acclaim for her work in film, television and theater. Barbra Streisand was born on April 24, 1942, in Brooklyn, New York. She didn&apos;t attend college; instead she moved to Manhattan and worked as a cabaret singer. 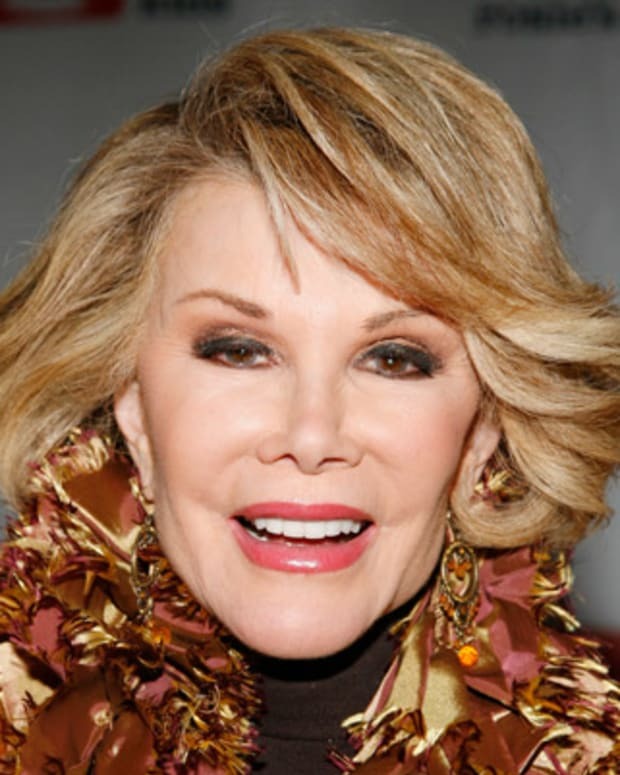 Her Broadway debut led to a recording contract and a long series of gold records. 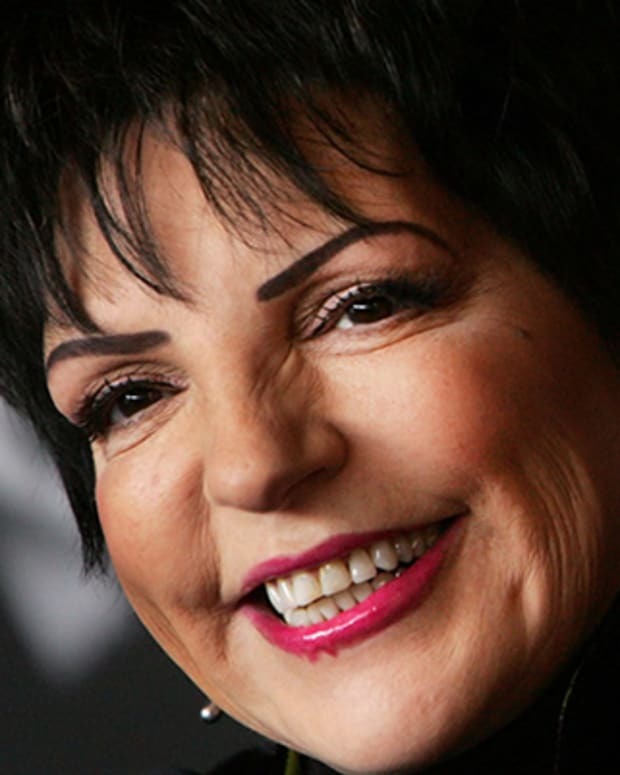 Over her career she has mastered nearly every entertainment medium available and won numerous awards. Born Barbara Joan Streisand on April 24, 1942, in Williamsburg, Brooklyn, to Diana Rosen and Emanuel Streisand. Streisand&apos;s father was a high school English teacher who died from complications of an epileptic seizure when Barbra was only 15 months old. Her mother, Diana, raised Barbra and her older brother, Sheldon, by working as a secretary in the New York City public school system, but the family barely survived on the brink of poverty. They moved in with Barbra&apos;s grandparents to help make ends meet. Her mother then remarried in 1949, to used-car salesman Louis Kind, while Streisand was away at camp. Her half-sister, Rosalind, was born in 1951. 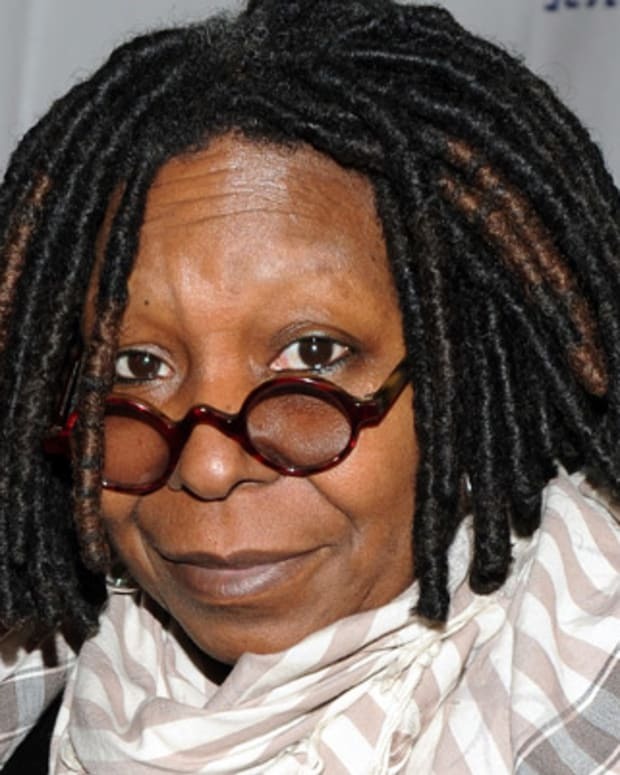 Streisand has described her childhood as painful. She was shy as a child, and often felt rejected by other children because her looks were unusual. Additionally, she saw her stepfather as emotionally abusive. She also found no support from her mother, who thought her too unattractive to pursue her dreams of show business. As a child, Streisand attended Bais Yakov School, where she sang in the school choir. Following elementary school, Streisand was a student at Erasmus Hall High School where she met future collaborator, Neil Diamond. Even before Barbra graduated from high school, she was traveling to New York City to study acting. 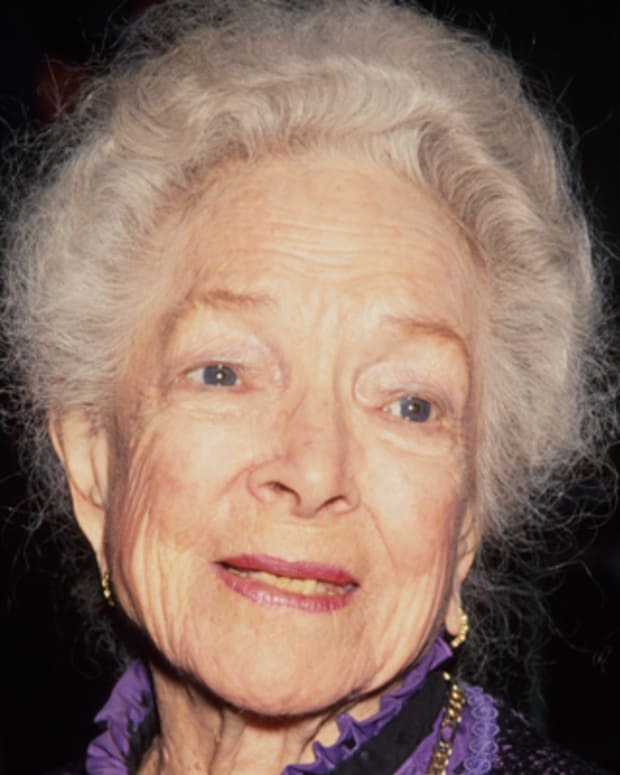 At the age of 15, she met Anita and Alan Miller at the Cherry Lane Theater in Greenwich Village. Streisand negotiated a deal with the couple; she would babysit for their children in exchange for a scholarship to Alan&apos;s acting school. It was one of two she simultaneously attended. She graduated from Erasmus High in 1959 at the age of 16. She was fourth in her class. Streisand never attended college. She moved to Manhattan in 1960 instead, months after graduating from high school. There, she shared several apartments with friends, including one with actor Elliot Gould, who she wed in 1963. They were married for eight years. Together the couple had one child, Jason. While working office jobs and attending acting lessons, Streisand was encouraged to enter a talent night at a local club. She had never taken a singing lesson before. The evening was a resounding success, and she soon embarked on a career as a cabaret singer, dropping the middle "a" from her name so that it would stand out. Her vibrant soprano soon won Streisand a loyal audience at local clubs, such as the Bon Soir and the Blue Angel. She claims that she learned how to cover her insecurity on stage by studying the flamboyance of the drag queens she met during this time. Still, Streisand is infamous for having avoided live performances for nearly three decades due to a debilitating bout of stage fright. She attributes the phobia to a concert in New York&apos;s Central Park in 1967, during which she forgot the lyrics to one of her songs. Streisand made her major debut in the Broadway show, I Can Get it For You Wholesale in 1962. She won the New York Drama Critics Award and received a Tony nomination for her performance; the cast album for that show was her first studio recording. Streisand signed with Columbia Records that same year and released her first album, The Barbra Streisand Album in 1963. It became a Top 10 gold record and received two Grammy Awards, including Album of the Year. At the time, she was the youngest artist to receive the honor. Despite three successful albums by early 1964, Streisand chose Broadway performances over live concerts. She appeared in the show Funny Girl for more than two years, which earned her a Tony Award nomination. The song "People" from that show became Streisand&apos;s first Top 10 single. In 1965, Streisand turned to television with My Name is Barbra. The show received five Emmy Awards, and CBS Television awarded Streisand a 10-year contract to produce and star in more TV specials. Streisand was given complete artistic control of the next four network productions. Streisand reprised her role in Funny Girl in 1966 in London at the Prince of Wales Theater. Two years later she made her big-screen debut in the film version of the play. 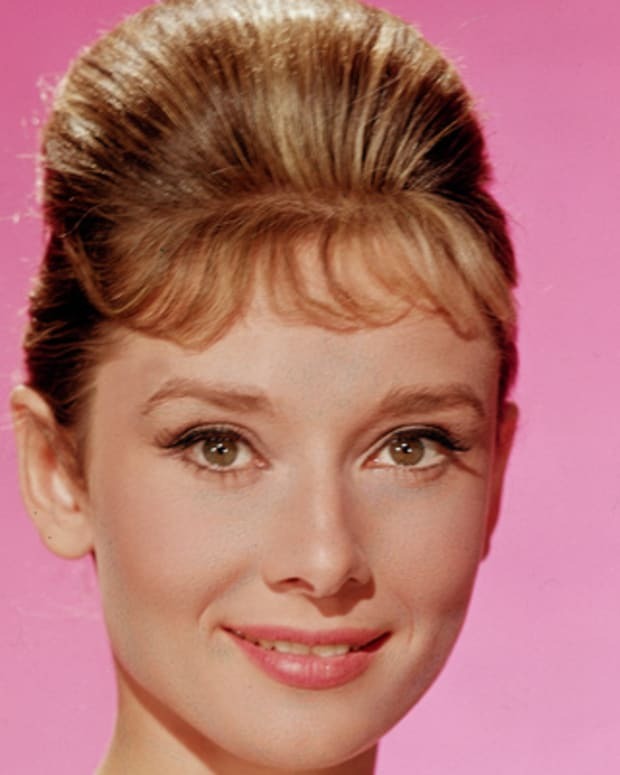 In addition to winning the 1968 Academy Award for her performance, she won a Golden Globe and was named "Star of the Year " by the National Association of Theater Owners. After appearing in the films Hello, Dolly! (1969) and On a Clear Day You Can See Forever (1970), Streisand starred in the non-musical comedy, The Owl and the Pussycat (1970). The year 1972 brought another comedy, What&apos;s Up Doc? The same year Streisand founded her own production company, Barwood Films, and starred in the company&apos;s first project, Up the Sandbox. 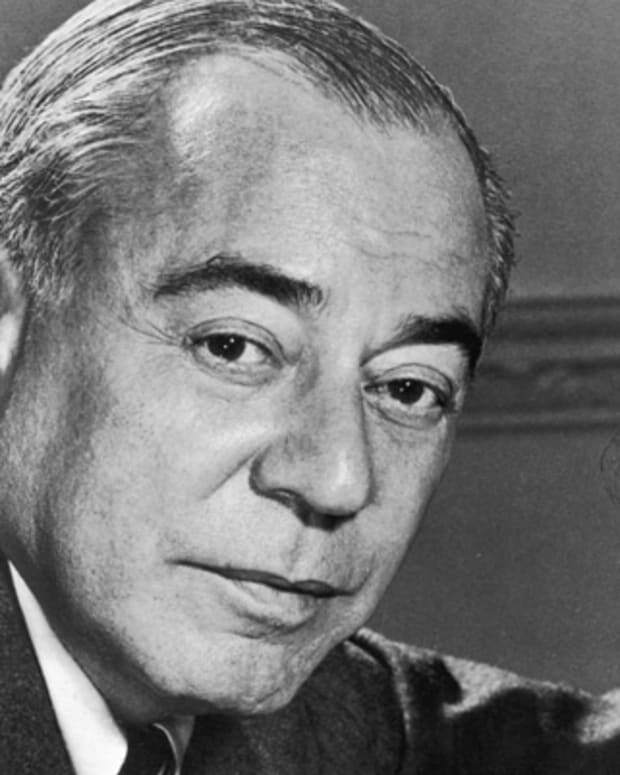 The film became one of the first American movies to deal with the growing women&apos;s movement. In the 1970s, Barbra Streisand successfully married her film and musical interests; first with the hit film The Way We Were, which featured her first No. 1 single and earned her a 1973 Academy Award nomination for Best Actress. In 1976 came A Star is Born, a film that Streisand produced. The project won six Golden Globes and offered Streisand her second No. 1 single, "Evergreen." In the late 1970s, Streisand collaborated with former high school choir mate Neil Diamond on the song, "You Don&apos;t Bring Me Flowers." The single went to No. 1, as did "No More Tears (Enough is Enough)," a dance record sung with Donna Summer. 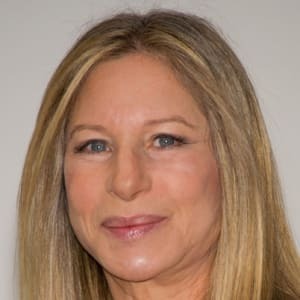 But Streisand had her biggest-selling album in 1980 with Guilty, which was written and produced by Barry Gibb of the Bee Gees and contained the No. 1 hit, "Woman in Love." Though she read Isaac Bashevis Singer&apos;s short story, "Yentl, The Yeshiva Boy" shortly after her first film in 1968, it was only after 15 years of perseverance that Streisand was able to bring the story to screen. 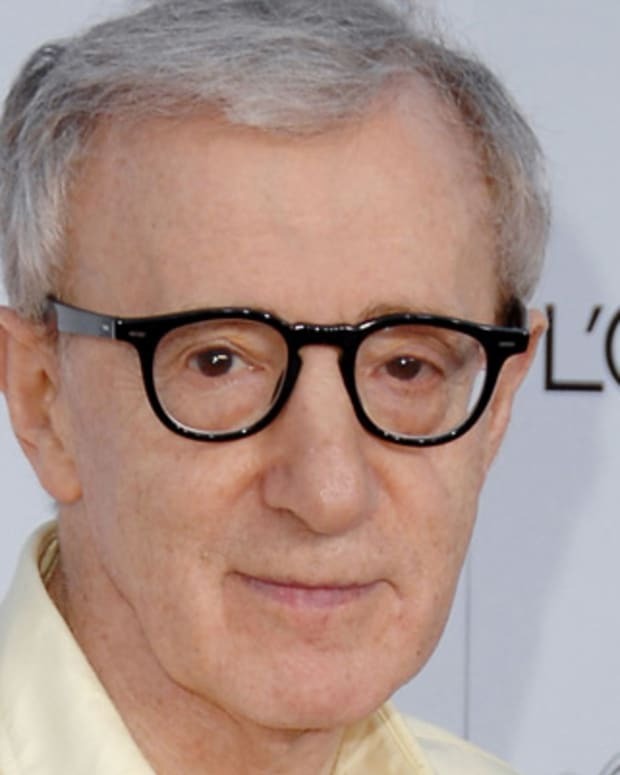 In her 1983 directorial debut, the film received five Academy Award nominations, and Streisand received Golden Globe Awards as both Best Director and producer of the Best Picture (musical comedy). The film also produced a Top 10 soundtrack. In 1985, The Broadway Album returned Barbra Streisand to the top of the charts. Continuing to integrate all of her talents, in 1987, Streisand followed up Yentl with Nuts. She not only starred in the film, but also produced and wrote the music. For her second directorial outing in 1991, Streisand made the movie Prince of Tides, a story based on the Pat Conroy novel. 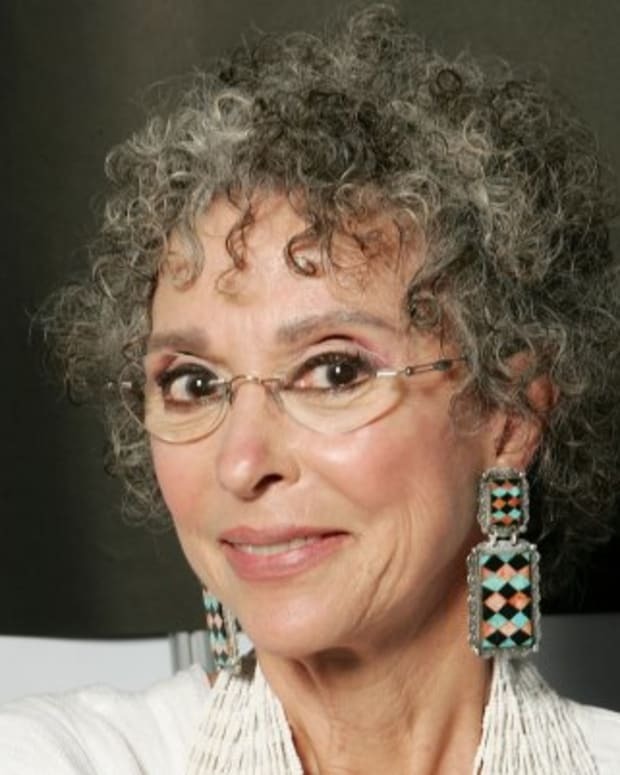 The film garnered seven Academy Award nominations and a nomination from the Directors Guild of America for her direction, making her only the third woman ever so honored. In 1996, Streisand tried her hand at direction again, with the film The Mirror Has Two Faces. After a 27-year absence, Barbra Streisand returned to the concert stage in 1994. Her performance resulted in the Top 10, million-selling album, The Concert. The tour itself generated over $10 million for charities, including AIDS organizations, women and children in jeopardy, Jewish/Arab relations, and agencies working to improve relations between African-Americans and Jews. Streisand&apos;s philanthropy and activism also extends to her Barwood Film&apos;s productions, such as The Long Island Incident, which inspired a national debate on gun control. 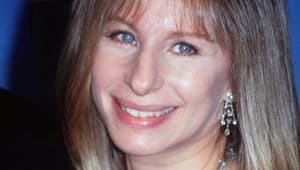 Streisand is an outspoken Democrat, and has used her talents and fame to support multiple candidates and causes, including Al Gore, Bill Clinton and Barack Obama. 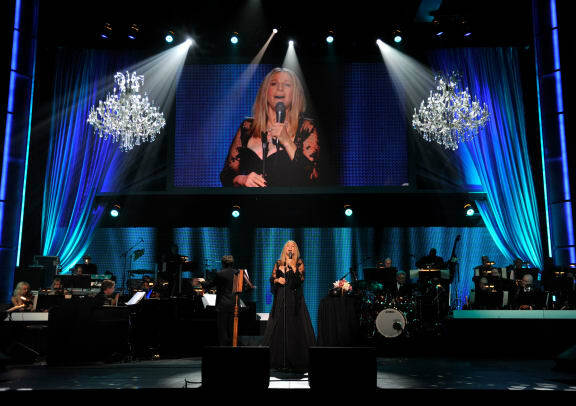 Prior to her 27-year stage absence, Streisand devoted her unpaid live concert performances exclusively to the benefit of the causes she supports. 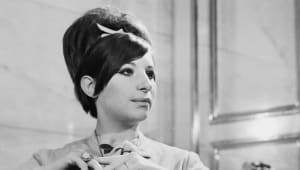 Her Barbra Streisand: One Voice concert has, to date, channeled $7 million in profits to charities through The Streisand Foundation, which continues to occupy much of the artist&apos;s energy and resources. Most recently, Barbra Streisand recorded the 2000 album, Timeless: Live in Concert at her Las Vegas show on New Years Eve, and released both on CD and DVD. A year later, a new holiday album, Christmas Memories arrived. It was the artist&apos;s first full-length studio album since 1999&apos;s A Love Like Ours. In a sequel to 1985&apos;s The Broadway Album, The Movie Album appeared in 2003. In 2005, a deluxe CD/DVD reissue of the original Guilty was followed a month later by Guilty Pleasures, a new album that reunited Streisand with Barry Gibb. In 2006, she returned to the concert stage, documented in the 2007 Live in Concert. 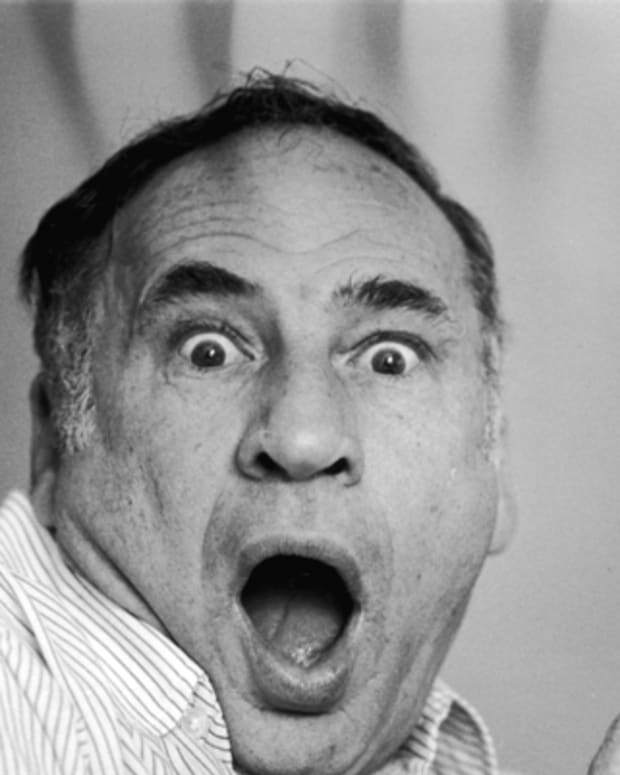 And in a long awaited return to film, Streisand appeared in 2006&apos;s Meet the Fockers. Streisand released the albums Love Is the Answer (which reached gold-selling status in the U.S.) and What Matters Most in 2009 and 2011, respectively. In the fall of 2012, Streisand announced the arrival a new album: Release Me, a collection of unreleased material from several sessions over the course of her career. She followed in 2014 with Partners, an album of duets with a series of acclaimed male artists, including Stevie Wonder, Billy Joel and John Legend. Streisand married for a second time on July 1, 1998, to actor James Brolin. Following their marriage, Streisand recorded an album of love songs entitled A Love Like Ours (1999). The collection featured the hit duet, "If You Ever Leave Me," with Vince Gill. In 2018, Streisand raised eyebrows with the announcement that she had her beloved dog, Samantha, cloned following her death last year, and now was enjoying the company of two new puppies. The news drew the disapproval of animal-rights group PETA, which noted that cloning does not recreate the original dog and suggested the singer could have found a wonderful new dog at a shelter. The statistics of Barbra Streisand&apos;s achievements are staggering. She is credited for creating dozens of gold- and platinum-selling albums, and is regarded as the top-selling female artist of all time. Streisand has had No. 1 albums in each of the last four decades—the greatest longevity for any solo recording artist. She is second in the all-time charts, ahead of the Beatles and The Rolling Stones, and exceeded by only Elvis Presley. Streisand has sold approximately 250 million records worldwide, and is the only artist to have earned honors from all the major award institutions, including two Academy Awards, one Tony Award, five Emmys, 10 Grammys, 13 Golden Globes, a CableACE Award, the University of Georgia&apos;s George Foster Peabody Award and the American Film Institute&apos;s Lifetime Achievement Award. In 2015, she was further honored as a recipient of the Presidential Medal of Freedom.